Graduation is an important day of a student’s life. When you put on the academic dress and your gown you feel that instant rush of accomplishment. Graduation is your final step into adulthood; you are ending a crucial chapter of your life. It signifies all those long nights you stayed up to study for the quiz, the on-campus parties with friends, the dorm life, and the run-ins with teachers outside of class, and a lot more. It is basically the end of your academic life. All the reality actually starts to seep in when you put on the dress. Why is the graduation dress important? Aside from the graduation dress signifying the end of a chapter and the start of a new stage of your life, there are others reasons too why the graduation dress is important. The graduation dress will be immortalized through the pictures taken at graduation, so how it looked on you matters a lot. A wrinkled, stale smelling graduation dress will leave a bad impression on everyone. You will be seeing most of your teachers, classmates and even friends for the last time, are you sure you want them to remember you like that? Furthermore, if you keep it dry cleaned, then it will be in a better condition when you take it out for use in the future. Why should you get the dress dry-cleaned? Getting your graduation dress or any formal dress dry-cleaned is a wise choice. 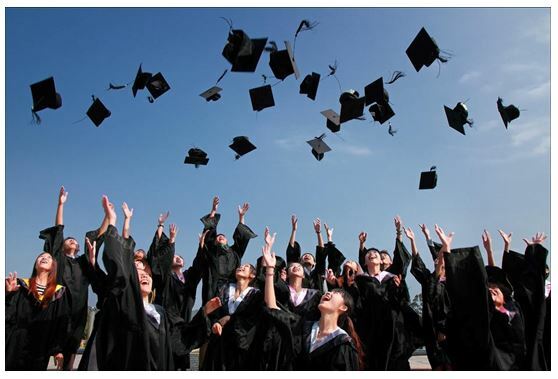 Proper care and preparation are required for a graduation dress which only professional dry cleaners can do. The quality of services they provide cannot be found at home, one reason being that it requires time, effort, and selective products. 1. Professional dry cleaners conduct a thorough inspection of the clothing after which they do the necessary mending and make minor alterations in the dress such as sewing on missing buttons, or reattaching a loose ribbon. 2. It is more convenient to pick up washed and ironed clothes from a dry cleaner to wear, rather than doing it all yourself. This will give you more time to get ready and to other things, instead of laboring over the dress. Also, a dry cleaned dress will have a more presentable appearance. 3. Dry cleaners have better knowledge about cleaning products and methods so chances of damaging the dress are very slim. You will hardly find any wear and tear, discoloration or any other thing. 4. Dry cleaners also have stain and odor removal treatments that keep your clothes fresh and colors vibrant for a long time, without excess damage. 5. Getting the gown dry-cleaned will increase the life of the fabric. All traces of dirt, oxidizing agents, oils or any other substances will be removed from the surface of the dress that can later lead to damage in any way.